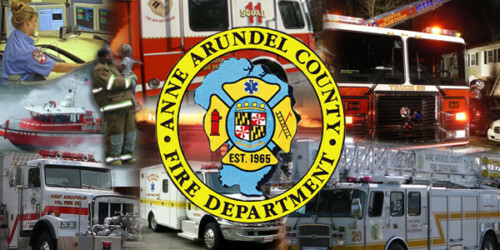 Anne Arundel County Executive Laura Neuman announced today the appointment of Division Chief Michael E. Cox, Jr. as the Acting Fire Chief of the Anne Arundel County Fire Department. In appointing Chief Cox, County Executive Neuman called upon an individual with outstanding professional qualifications. “Chief Cox has demonstrated a lifelong commitment to personal and professional development and brings a level of energy to the position that is critical to our County’s future,” said County Executive Neuman. Chief Cox began his career in the fire service at the age of 16 as a volunteer at the Woodland Beach VFD. In assuming the role of Acting Fire Chief, Chief Cox brings over 25 years of experience in professional and career fire service. He has a diverse background with multiple bureaus and divisions in the Fire Department. Chief Cox holds a number of national and state certifications, most notably as a Fire Officer 4, Emergency Medical Technician-Paramedic, and as an Emergency Services instructor. His has an Associates degree in Emergency Medical Services from the Anne Arundel Community College; a Bachelors degree in Fire Science from the University of Maryland; and a Masters degree in Executive Fire Service Leadership from Grand Canyon University. Chief Cox is also a graduate of the National Fire Academy’s Executive Fire Officer Program and received Chief Fire Officer Designation through the center for public safety excellence. Chief Cox has been a resident of Anne Arundel County for the last 33 years and currently resides in Edgewater with his wife Deborah and their two children, Megan and Michael.